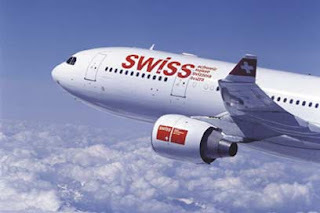 I discovered this piece of news about a Swiss flight that used a new ATC technology that allows pilots to provide their own separation services while on an instrument flight plan. I'll admit that I'm not all that familiar with oceanic ATC procedures, but what drew me to this was more the implications for the FAA's NextGen Airspace. From what I understand of the program, the FAA intends to automate much of the en-route ATC system, and this appears to be a step in that direction. If this is successful, I can eventually see the system being included first on Airliners, and eventually (like TCAS) all IFR-certified aircraft will have this system. It also has implications for the proliferation of UAS into the national airspace, as UAS pilots can have a clearer situational awareness of surrounding traffic and maneuver around them. We have yet to discover how reliable this system is, but it certainly shows great promise. Architects, architectural technology firms, engineers, builders, contractors, developers, construction material manufacturers plus suppliers, and municipal building business units:[url=http://www.coachonline-outlet-store.com/]Coach Outlet Online[/url] These are some belonging to the types of people in addition to sectors that students exactly who attend Centennial College's architecture program can talk with upon graduation. In addition, graduates are eligible for you to join the Association connected with Architectural Technologists of Ontario and the Ontario Association for Utilized Architectural Sciences. This Architectural Technology program four years to complete and ends in an Ontario College Superior Diploma. To apply, students are expected to have completed at least a great Ontario Secondary School Diploma (OSSD) or maybe equivalent or be 19 years of age or older. In addition, they must have the particular compulsory English 12C or maybe U credit or abilities assessment, or equivalent and the Math 11M or Ough or 12C or Ough credit or skills assessment, or equivalent. Possession of minimum admission requirements would not, however, [url=http://www.coachonline-outlet-store.com/]coach outlet store online[/url] guarantee admission to Architectural Technology program.